2nd of October was a red letter day that will reside in the best memories of all the children in ALPS 2014. 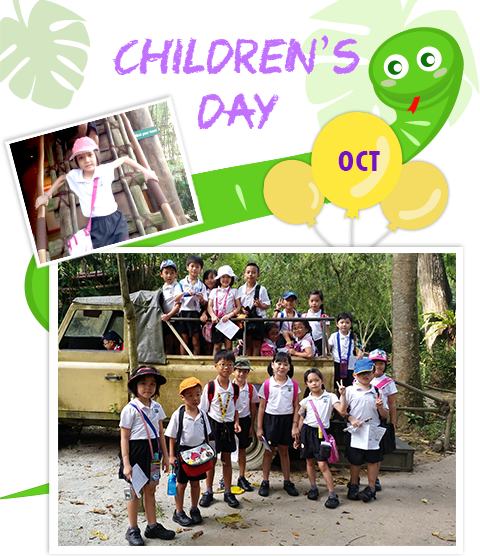 As part of the school’s Children’s Day celebrations, the teachers organized the ALPS Venture @ The Zoo. 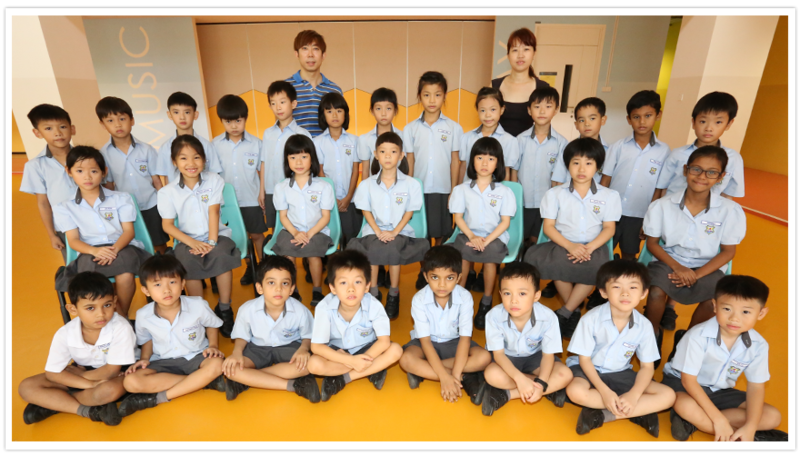 Right after assembly, the air was filled with the excitement and anticipation of more than 200 students as they waited patiently to board the bus in an orderly manner. 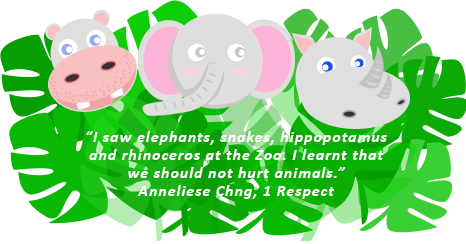 At the zoo, the students were given individual booklets containing guided questions which they had to fill up as they visited each of the enclosures. All the students came together for the Splash Safari Show where they were thoroughly entertained by the talented sealions. The best part of it all was that the students were well prepared with their mini picnics while they feasted their eyes on the spectacular show. Despite the tight schedule, all the students were able to get up close and personal with the many animals in the zoo, such as the magnificent lions in Cat Country, the industrious elephants in the Elephants of Asia enclosure, Inuka the polar bear in the Frozen Tundra enclosure and the playful monkeys and orang utans in the Primate Kingdom. At the end of a hectic yet fulfilling learning journey, the students left the zoo with wide beaming faces as the buses took them back to the school. Another surprise awaited them when they reached the school as they received their Children’s Day presents before they returned home, jubilant and over the moon. Deepavali is an important festival for the Hindus. Lighting up rows of oil lamps on Deepavali signifies the triumph of good over evil. As part of the celebration, the Tamil Language Department introduced the significance of drawing kolam to the students. The CCE teachers shared the different types of kolams during their lessons. After the sharing, the students were given the opportunity to design their own kolams. 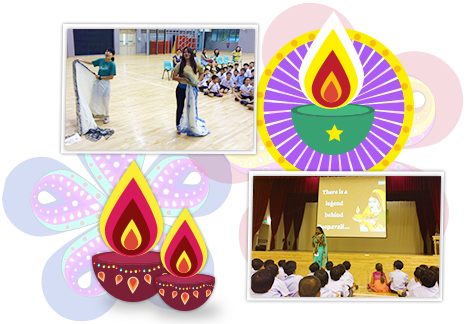 On the actual day of the Deepavali celebration on 20 October 2014, the staff and students learnt more about the Hindus’ traditional festival through Ms Logeswary’s sharing of the legend behind the celebration of the festival. After the sharing, the representatives from each class were selected to participate in the “Dress Me Up” activity. The students had an enjoyable time dressing up their peers in the Indian ethnic costumes. A few teachers also participated in the same activity. The students cheered for their teachers as they enthusiastically draped themselves in sarees. 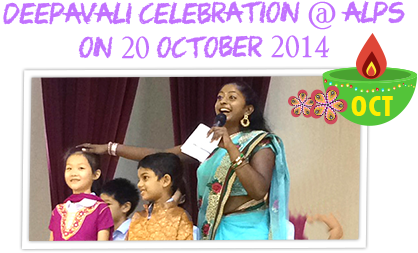 Before the celebration came to an end, Ms Logeswary led the school in the singing of the Deepavali song which the students had learnt during their music lessons. It was a meaningful and enjoyable session for everyone.